Why do we tax income instead of wealth? At this time of year my inbox fills up with emails urging me to attend something called a “budget breakfast” on the morning after the budget. Such events are normally held in the plush offices of well-respected accountancy firms. These chrome and glass financial citadels on the river are testimony to the enormous fees paid by the wealthy to advisers in order to avoid tax. The tax avoidance industry is one of the staples of the professional classes. And the annual nature of the budget ensures that these fees are fool-proof recurring annuities. Tax avoidance is the cottage industry of choice for those with multinational aspirations. Without it, the price of property in redbrick Dublin 6, already tottering, would be cascading downwards. It’s all perfectly legal. And, as I have yet to meet anyone who pays more tax then they absolutely have to, tax avoidance is human nature. The annual budget jamboree is the marching season for the professional tribe who meet up with old friends, bonded by a common cause. Like other outdated rituals, the reality is the annual budget process is an anachronistic hangover from the time we had our own currency and the budget deficit or surplus set the tone for domestic interest rates, government bond market and exchange rate. We needed an annual budget to signal to the markets what the government needed to run the place. Once this was laid out, the rest of the domestic financial system orbited around that outcome. The budget was the anchor. But with the euro and EMU, all that is all long gone. On Tuesday, the rate of interest on Irish 10-year bonds will hardly budge, irrespective of what the Minister says. As a result, in pure economic terms, the budget is merely a bit of parliamentary pageantry, designed to keep political hacks scribbling and political adversaries frothing at modest differences in emphasis. The reason I say modest is because when you interrogate the numbers, you can see there has been quite a lot of continuity in the way in which this country has been run for a long time. However, the budget is critical because it underscores the great ideology of the State. Who you choose to tax and what you choose to tax reveal the deep prejudices of the country. A State can tax either income or wealth. This is the choice. And that choice signifies what sort of country we are. Given that we have a housing crisis and that land and property are assets that generate enormous wealth, bear this choice in mind as we dig a bit deeper into the budgetary choices. In 2017, our government took in just over €50.7 billion in taxes. The breakdown of this figure reveals our preferences. But before we become party political and start roaring for an election to change things immediately, understand that the way we tax things is the culmination of years of policy from both the left and the right. It is not something new, but something that has evolved. Here’s the breakdown. We raise nearly €20 billion or close to 40 per cent of all tax revenue from income tax. These are taxes on effort and hard work; these taxes also reduce people’s take-home pay, adding to the pinch for the squeezed middle. A further €13 billion was taken in VAT, which is a tax on buying and selling almost everything (except for food and children’s clothes). It’s a tax on economic activity. We raise 26 per cent of our total tax take from charges on commercial activity. VAT is a tax on commerce and the wheels that make the system go round but it adds to the cost of everything. Obviously, a tax that pushes up prices on most things reduces the buying power of people’s salaries, which are already compromised by income tax. Nearly €6 billion was raised in excise duty – essentially petrol, fags and booze, the “old reliables”. Excise duty also pushes up prices directly and again eats into take-home pay. This means that some €39 billion of the State’s €50.7 billion income is taken from the income of the average worker, the people who drive the economy. Then we can add in the extra €8.2 billion that comes from corporation tax. This brings us up to close to €47 billion. And wealth? How do we tax wealth? Before we answer that, consider the fact that the top 5 per cent in the country own over 40 per cent of the wealth. This is a huge disparity at the core of our nation. What’s more, 85 per cent of this wealth is in the form of property and land. And take into account that land is an asset that can either be hoarded or used. When it is used intensively, housing problems become much less acute because we build more accommodation per plot and thus lower the cost of each square metre. Therefore, we should be isolating property and land and making sure the tax system penalises land hoarding in favour of land usage. When land is used, the money that comes from rent is captured in the form of income so it’s in the nearly 40 per cent of revenue raised from income. The tax system should tax land and land hoarding in order to reduce its attractiveness as an asset class. So how does this country tax the wealth stored in houses, land and property? The short answer is: it doesn’t. We raise only €500 million of our total taxes from land, despite the fact that it is the single biggest asset in the country. We tax income instead of wealth because there are more poor people than rich people and it is easier to get money from poor people than it is to get money from rich people. 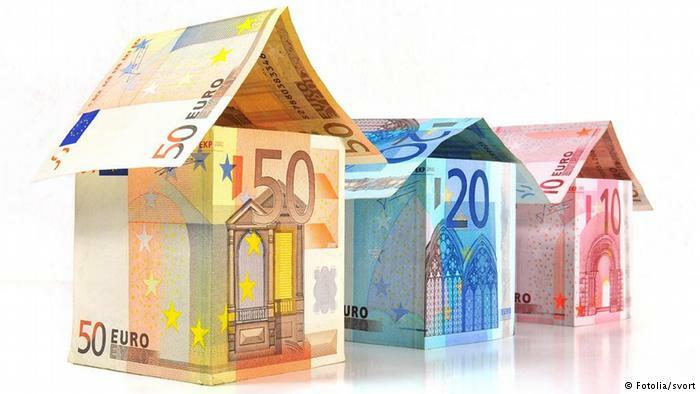 Is that €500m just Local Property Tax? Is there really no other tax on wealth in this country? The budget is another step on the road to pervasive statism, and control over the individual. It is a copper fastens the concept that a powerful state is needed to keep you all in line, and is the source of all morality of society, superior to the individual, and individual effort. A Corby govt will ditch the dreary six counties, then the sparks will start flying in Dublin.Combined with a hard Brexit brought about by the moronic Free Presbyterian Dup,cross border shopping will return to 09 levels and a sinking sterling will wipe out much irish owned manufacturing.Problems only starting.Champagne socialists in the Irish labour party will enter govt and sell us out to their Euro buddies. A tax on land is a tax on agriculture, as that’s what most land is used for. I miss Brendan Behan: I miss Ireland. We need to modestly and fairly increase tax on businesses. We need to change planning laws to allow let’s say 20 story high rises. We need to meaningfully disincentivise land hoarding and deal with select sites. We need to deploy a flat tax on all…. from social welfare recipients to billionaires…. not this weirdly punitive ~50% tax rate for modest marginal income while 50% of people pay virtually no income related tax. McCawber put his finger on it. Taxes should ONLY be paid, based on the services provided by them. Ireland are provided with 40% less hospital beds than the oecd average. Therefore it concludes that Irish average/ median workers should pay 40% less tax than the oecd average. If Irish public services( health mainly) value for tax monies were a restaurant, you would never come back. The Irish tax payer is trapped by a health system that demands self service before public service. The Irish health service is the worst value for money health service in the oecd. Yesterday England drew 0-0. Today Ireland drew 0-0 v Denmark. The last time Ireland drew 0-0 v Denmark, England also recorded a 0-0 draw the previous day. Ireland’s referee in 2017 reffed the 2018 Champions League Final. England’s referee in 2018 reffed the 2017 Final. Why capitalism works and creates wealth for all and socialism destroys wealth for all.